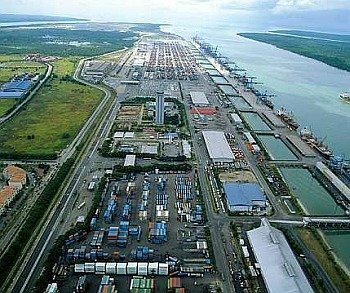 With volumes at its premier ports slumping on the back of this year’s container alliance switches Malaysia has decided to put on hold a huge port development plan at Carey Island. Port Klang – and its two terminals Westports and Northport – has seen much traffic switch to Singapore in the wake of the reshuffle of global liner alliances on April 1 this year. MMC Corp, which runs the Malaysian Port of Tanjung Pelepas, had planned to partner India’s Adani Ports and local state-backed Sime Darby in a multi-billion dollar port project at Carey Island. “With the government giving Klang rival Westports approval to double its capacity, the push for a third port in Klang is on the backburner,” a source told Singapore’s Straits Times. “The timing for this and other proposed Malacca Straits developments is critical – as and when needed, or significantly ahead of demand?” Arcadis’s Beard commented. The Port Klang Authority (PKA) had been touting the development of a $45bn new terminal complex on Carey Island for the past couple of years.